Proper care of your child’s teeth can save a lot of time, pain, and money down the road. Since children are more at risk for developing cavities, it’s important to understand all of the factors at play in order to ensure the best oral hygiene possible. Below we will cover a few common topics that come up when looking after your child’s oral health. Establish a brushing and flossing routine, and make it fun! 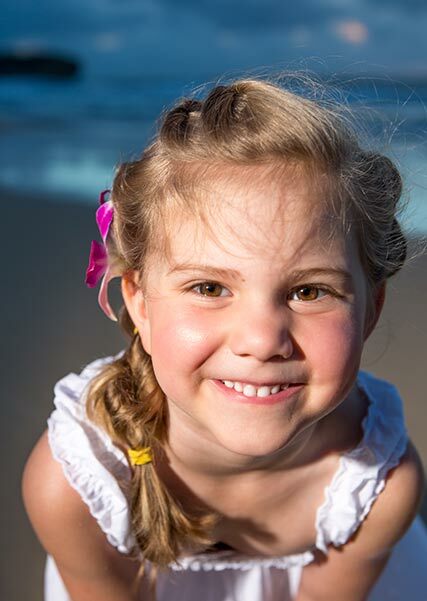 The best way to care for a child’s teeth is a well-established routine of brushing and flossing. This simple routine, repeated twice daily, is a great way to prevent cavities and promote strong oral health. When brushing, the toothbrush should be at a 45 degree angle to the gum line. Brush using small circle motions. Be very gentle as brushing too hard can cause bleeding and pain. Be sure to brush all sides of the teeth including the outside, inside, and top (or chewing) surfaces. Oh, and don’t forget the tongue! Rinse your mouth and toothbrush with clean water. Wrap floss around a finger on each hand. Be sure to wrap extra floss around one finger so there is fresh floss available as you go along. Create a small length of floss to fit between the teeth. Gently guide the floss between the teeth. Hug the floss against one tooth and slide the floss below the gum line to remove any debris that has been embedded below. Slide the floss from between the teeth and repeat for the rest of the teeth. Note: Flossing with regular floss does require some manual dexterity, so pre-strung floss picks may be particularly useful for young children who are just learning to floss. Children, especially toddlers and young children, can be resistant to brushing or flossing their teeth. Playing a upbeat song or dancing can help make the activity fun, instead of a chore. Songs are also effective for ensuring your child is brushing for an adequate amount of time. Your body has a natural process of preventing the development of cavities. Saliva helps protect and re-mineralize the teeth; however, saliva by itself cannot completely protect your child’s teeth. Cavities are especially common in children, which is why promoting a good oral health routine is important. Typically, cavities form in the areas that are hardest to reach when brushing and flossing, like the edges of the tooth crown and the gaps in between teeth. Sometimes there may be no pain or other obvious signs of tooth decay, making regular dental checkups important in the fight against cavities. Without treatment, cavities can become incredibly painful and even lead to infection deeper in the tooth or root canal. Along with twice-daily brushing and flossing, you should also monitor your child’s food and beverage intake. Avoid foods with high sugar content. The longer sugar is allowed to remain on or in-between teeth, the more likely cavities will develop. Replace soda with low-sugar beverages or water. Instead of candy, try fresh fruits and vegetables. All of these precautions can help prevent cavities from developing. In addition to the above basic strategies for good oral health, regular visits to the dentist are also a fundamental piece of the pie. Generally, children should visit the dentist every six months, or at the frequency recommended by a doctor. The doctors and hygienists at Behind the Smile love supporting you and your child in your journey towards good oral health. We take special care to ensure your child feels comfortable and safe during their visit with us, and that they leave excited for their next visit to the dentist. Call us today to schedule an appointment at one of our location in Beaverton or Hillsboro.